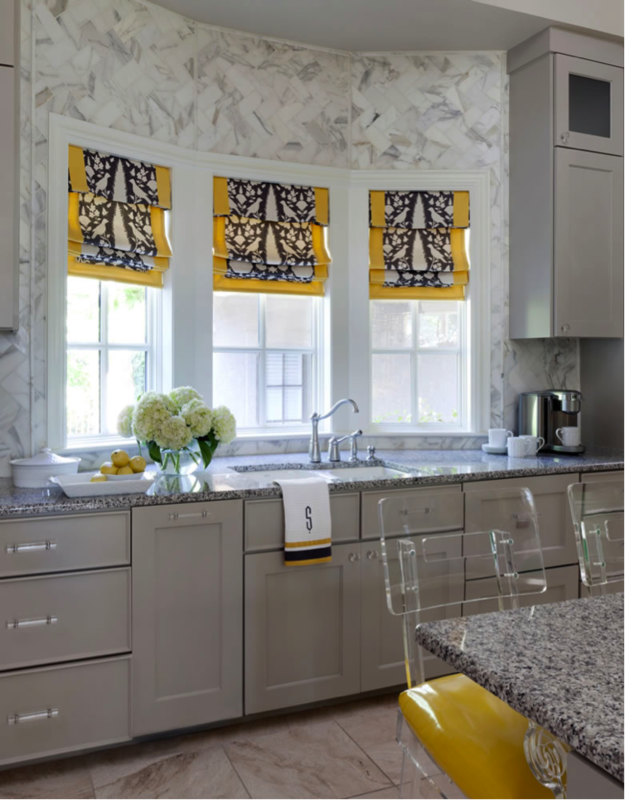 Kitchens today can be any color your heart desires, although white painted cabinetry is still the top choice for most homeowners and stained cabinets are making a comeback. I’m known for my work with color, and that doesn’t stop at the kitchen door, so here are my go-to paints that will have you cooking in style! 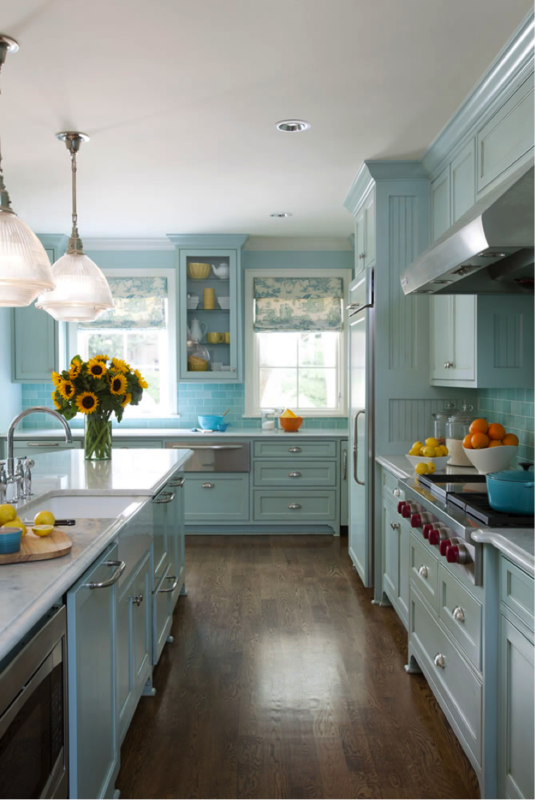 Blue is such a popular color, and its calming nature makes it perfect for the hubbub of a kitchen whether on the walls, the cabinets, or the backsplash. This beach-inspired blue kitchen uses Sherwin-Williams "Tidewater" on walls and cabinets for a serene feel. For something a bit more gray and less aqua, try C2 "Slinky," which is what I used in my new kitchen. It’s super chic, and I really love it. 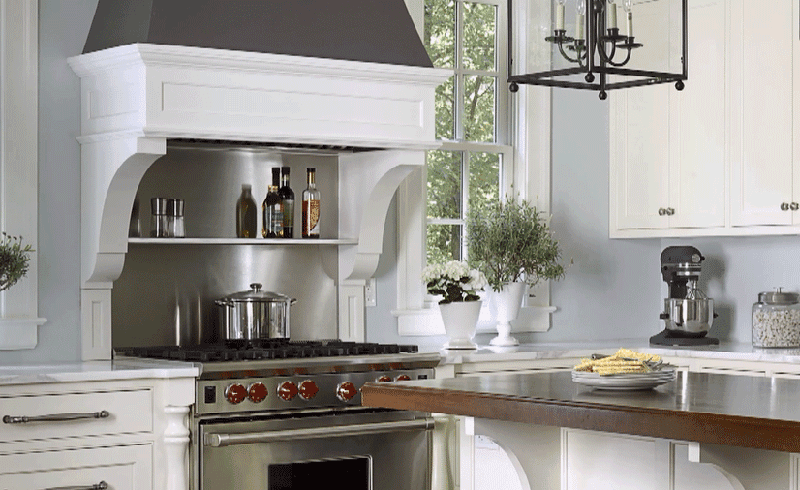 Gray is still in its heyday in home design. I think people love gray because it’s a color that can go warm or cool, depending on the undertones of the paint and the lighting in the room. Try Sherwin-Williams "Amazing Gray" (shown above) or Behr "Heirloom Silver", or for something cooler, Benjamin Moore’s "Stonington Gray." 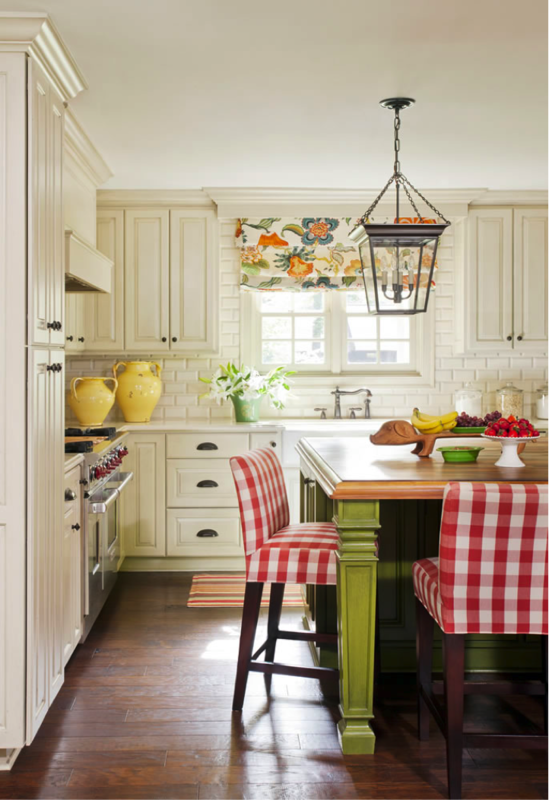 Whether you go with spring green or a gray-green, this color gives a fresh look to kitchens. Try the crisp color "Wasabi" by C2. Its lively shade lands on the yellow side of the green spectrum. Want something cooler and classic? Farrow and Ball’s lovely "Breakfast Room" has a hint of blue and is a timeless choice. 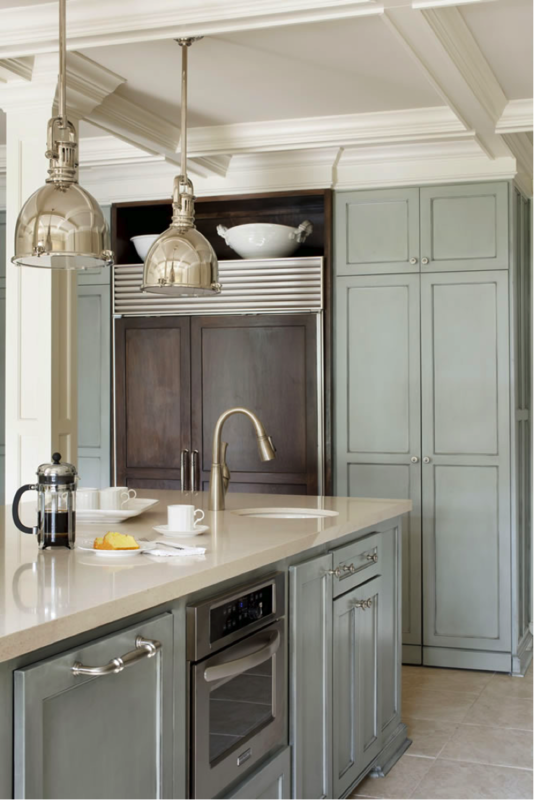 Or for a soft and subtle shade try something like Sherwin Williams "Topsail," shown here in one of my most popular kitchen designs ever. I love a warm white—it creates a glow in a room that keeps the white from reading too stark and cold. 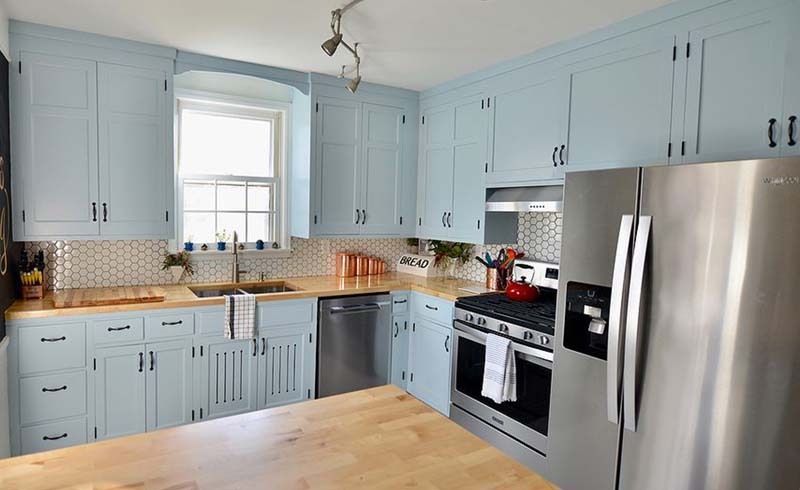 Try Sherwin-Williams "Rice Grain" with slightly green undertones (shown here), C2 "America’s Cup" for something crisp and bright, or Benjamin Moore "Mayonnaise," which is creamy and rich and a great color name for a kitchen!